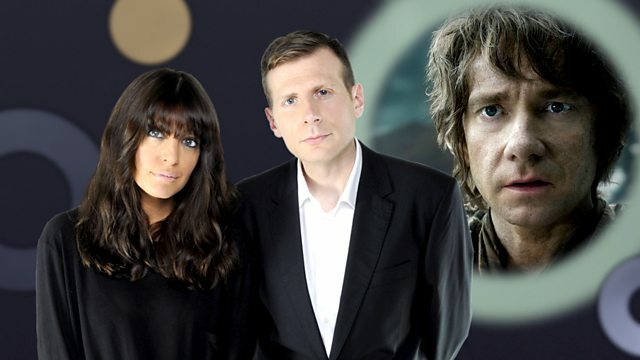 The Film 2014 team take a critical look at the latest film from Middle Earth, The Hobbit: The Battle of the Five Armies. Director Ridley Scott talks about new swords and sandals epic Exodus: Gods and Kings. Joining them in the studio is the Daily Telegraph's Robbie Collin. Robbie Collin is the Telegraph’s chief film critic, and a regular contributor to 'Film 2014' and Claudia Winkleman’s Radio 2 Arts Show. Annette Benning plays a woman mourning the loss of her husband (Ed Harris), who died in an accident on their 30th Wedding Anniversary. She struggles with her grief until one day she sees a man who is the spitting image of her late husband and enters into a warped relationship with him. A German Observational documentary about the behind the scenes running of the Kunsthistorisches Museum in Vienna from eccentric experts restoring armour to the modern marketing team trying to keep the grand old institution running. A documentary about the extraordinary true story of the son of a Hamas founder who became disillusioned with his cause and religion. After spending time in an Israeli prison, Mosab Hassan Yousef agreed to turn spy for the Israelis to prevent further violence. A playful ethnographic piece made using a fixed 16mm film camera inside a cable car transporting pilgrims and tourists up a mountain in Nepal to a Sacred Site. The camera’s gaze captures whatever mood or conversation they happen to be in. Documentary directed by Robert Kenner inspired by the book of the same name, about the murkier side of the climate change debate, revealing how established science is challenged by a minority of dissenters funded by big business. A Swiss German docudrama telling the true story of a gay couple, still very much in love, who met in the 1950s through the Swiss publication for gay men Der Kreis. The real life couple narrate the dramatization of their love story which began the time of a series of brutal murders in the gay scene which sparked police intervention that threatened their relationship and society.